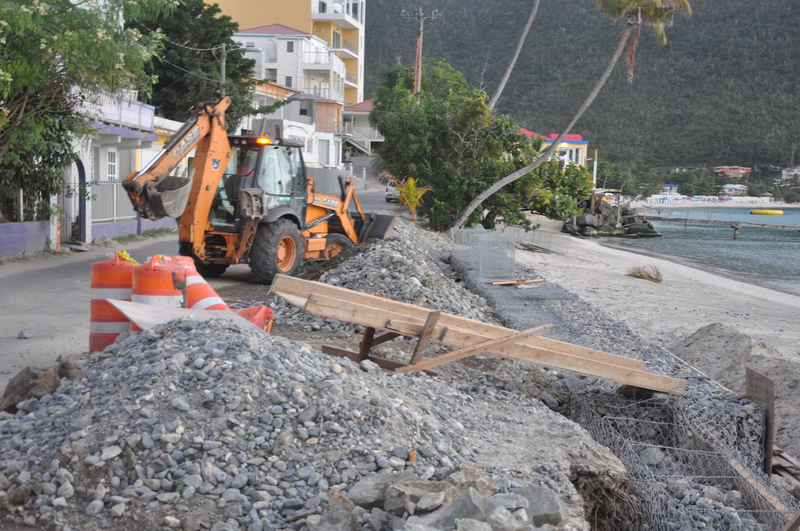 About a month ago, excavations began along the beach in the north end of Cane Garden Bay as part of a government project designed to protect a shoreline that slips further into the sea with each heavy swell. But two United States experts told the Beacon that the method being used — stone-filled wire cages known as gabion baskets — probably won’t last long. Dr. Jackson is not alone in this view: The United States Army Corps of Engineers recommends against using gabion baskets in an active surf zone like the one at Cane Garden Bay. Though the structures tend to be less expensive than alternatives, the agency warns, the longer-term costs typically outweigh the upfront savings. The ongoing work, which the government has dubbed the “Sea Defence Project,” is part of a nine-month-old initiative being funded by $1.3 million that the Cabinet approved for the revitalisation of Cane Garden and Brewers bays, according to District Two Representative Mitch Turnbull. 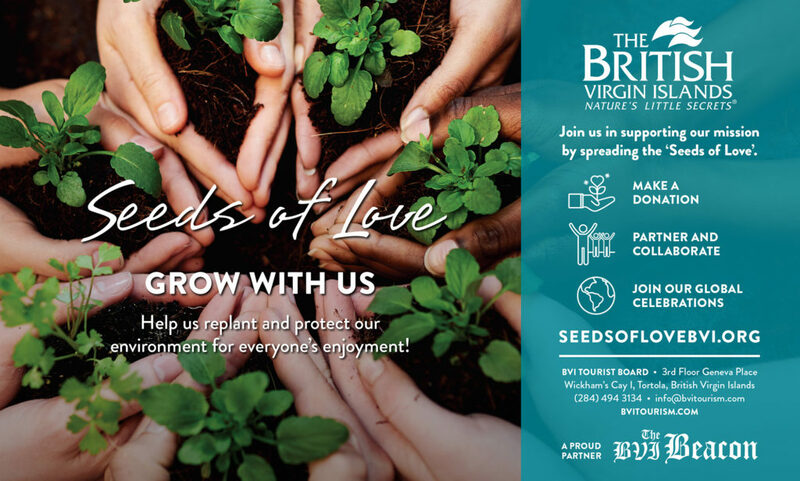 “It is one of the projects that was identified through the Ministry of Natural Resources and Labour, the Public Works Department, the Premier’s Office, as well as myself as the district representative,” Mr. Turnbull told the Beacon. Mr. Turnbull believes that the baskets are a sound solution to a difficult problem that has plagued the area for years. “When the high tides come up, the water, the rocks and everything come straight across the road, eroding the road as well as making it impassible for vehicles and even going into persons’ houses,” he said. The gabion baskets, he explained, are being stacked in three levels, and they will be part of a barrier that will rise about two feet above the road to block sea swells. 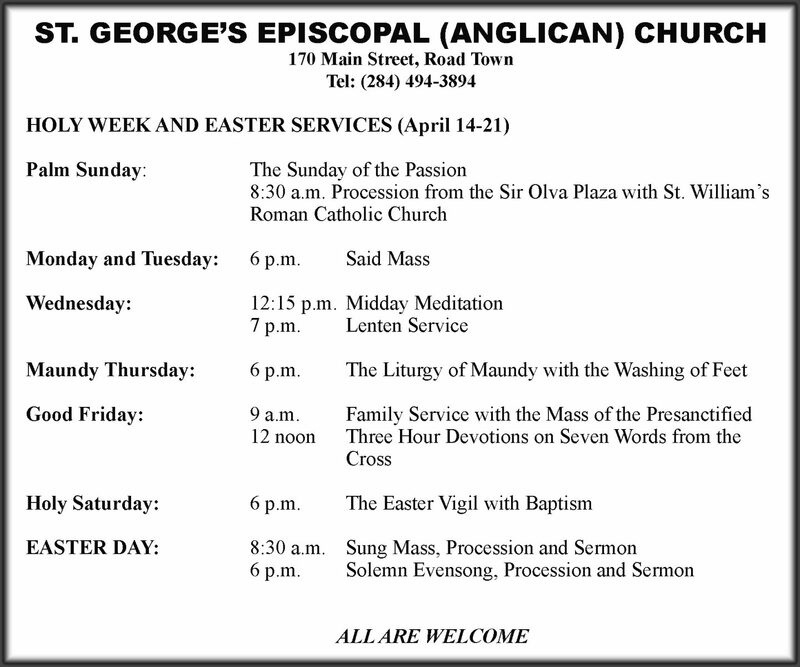 The project, he added, will also widen the road by about three or four feet, thus creating a parking area for residents and the nearby church. Mr. Turnbull, who maintained that he knows of instances where gabion baskets here and abroad held up against the 2017 hurricanes, said that pre-project studies were carried out by the Public Works Department, which is supervising the effort. For more information on those studies, he referred this reporter to PWD acting Director Navarro Donovan, who did not return messages left by this reporter. The project has drawn criticism from some Cane Garden Bay residents, but Mr. Turnbull maintained that the community was adequately informed about the work in advance. He also expressed frustration about complaints that he said caused the NRL Ministry and the Town and Country Planning Department to stop work for three days in early February. 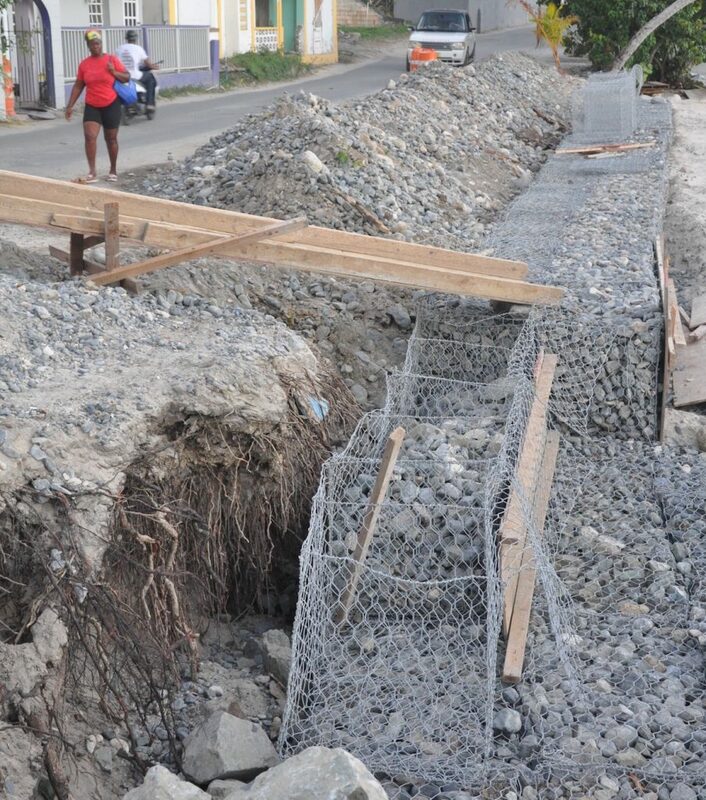 The stoppage followed a report in Virgin Islands News Online that stated — incorrectly, according to government — that the ongoing project is associated with a nearby revetment completed in 2017 as part of the European Union-funded iLAND Resilience Project, which was administered through the Organisation of Eastern Caribbean States’ Global Climate Change Alliance Project. 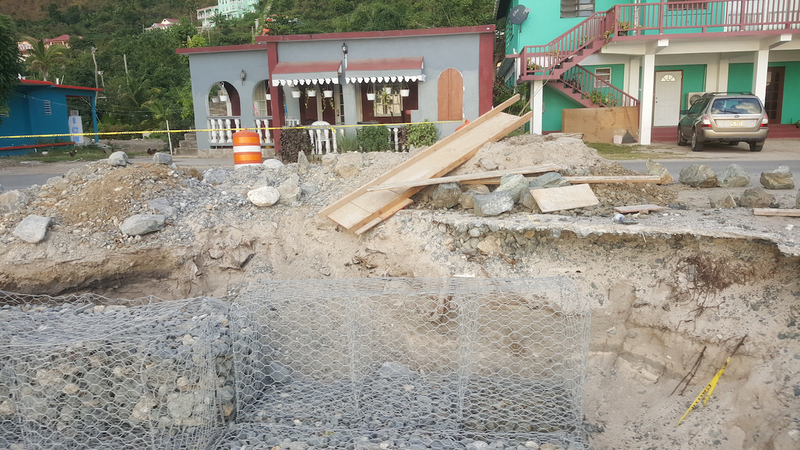 “The decision has been made in an effort to assess the scope of the project to facilitate the construction of a sea defence barrier along a section of the Cane Garden Bay coastal road,” according to a statement released by the Premier’s Office. Eight days later, government released another statement refuting the VINO report and explaining that the ongoing Sea Defence Project is not affiliated with the OECS iLAND Resilience Project or Smith Warner International, the regional consultant that prepared the coastal engineering studies and designs for the 2017 revetment. “OECS and SWI were not involved in the design of the present Cane Garden Bay Sea Defence Project,” the press release stated. Chief Planner Greg Adams said last week that the Sea Defence Project has not received planning permission from the TCPD, but no such permission is needed because it is a government “infrastructure” project. Instead, he explained, the project received the necessary approval from the Premier’s Office. Premier’s Office acting Permanent Secretary Elvia Smith-Maduro and NRL Ministry Permanent Secretary Ronald Smith-Berkeley did not respond to requests for comment. Mr. Turnbull said that the contractors working on the project are D&C Construction and O’Deane Henley Construction. A man in a D&C shirt supervising a backhoe at the project site on Tuesday evening declined to provide his name or grant an interview, but he said the project would be complete in about a week. The Beacon was otherwise unable to reach the contractors. After completing the current project, the government plans to build similar structures on the other end of Cane Garden Bay and in Brewers Bay, according to Mr. Turnbull. But Dr. Jackson said such efforts probably won’t end well. Even though the gabion baskets’ metal mesh is covered with plastic, he said, it is unlikely to hold up well in a saltwater environment. Dr. William Neal, a retired geologist who worked with Dr. Jackson on the Puerto Rico gabion study, was similarly sceptical. A breach in one basket, he explained, can cause a domino effect because it means a loss of support for adjacent baskets. “Where you get water that’s moving down behind or through the structure, and it begins to erode and corrode, you can actually have the wall being attacked from the back side as well as the front side,” he explained. Ultimately, he added, the baskets aren’t worth it. “The only benefit of the gabions I’ve ever seen is they are low cost,” he said. 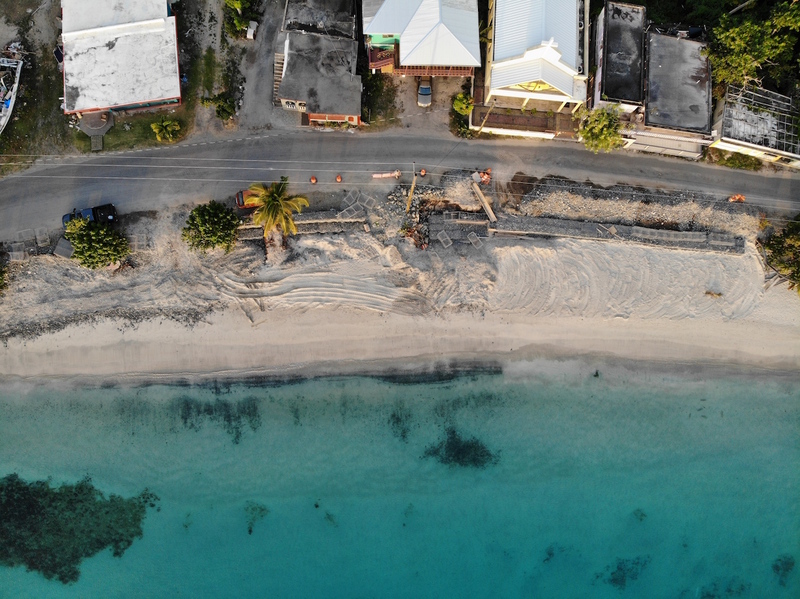 The scientists agreed that the solution to the shoreline erosion in Cane Garden Bay is not simple, but both recommended exploring beach replenishment projects that would expand the beach from the seaside, perhaps by adding sand and planting vegetation that would prevent erosion. However, Dr. Jackon added that this approach could be expensive and might not be as effective as desired because so much of the nearby shoreline has been hardened with docks or revetments. Therefore, he explained, a seawall or rock revetment might be a better solution, although such hardening could cause the beach to erode further. Ultimately, they both said, the struggle against the sea is an uphill battle, particularly given the site’s location and the likely effects of climate change. But for Mr. Turnbull, whose constituents want a sound road and a beach for themselves and their visitors, the crisis is immediate.